Today I will tell you the way I like to structure my blog posts, none of what you see below is revolutionary but hopefully helpful. I like to either bullet point them or use a mind map format to write down all my ideas. If I am particularly stuck for ideas I will have a scroll through what other bloggers have written for inspiration. Some may argue that it is copying but the majority of content written on blogs is repackaged or has been rewritten already anyway, so I don’t see it in that way. Your post ideally should contain ‘evergreen content’ this helps boost your SEO. Evergreen content is content which isn’t dated so for example if this article contains lots of data then this article will be out of date very quickly as the stats would become out of date. Fashion blogs are another example. My social media and blogging articles I like to keep the content ‘evergreen’ as much as possible. Once I have an idea on what I want to write about, if I need to do any research this is usually done first. It helps inform the rest of my writing and helps me think of points that I may not have thought about originally or from a different view point that I then may expand upon. I tend to write intro, middle and end as titles and then list the points I want to make below each. When I start writing, I tick off each point to help keep me on track and additionally keeps me motivated to finish the post (I am one of those people that like lists!). When I am in the planning stage I like to have a lot of time to plan my posts. I turn off all distractions, this means leaving my phone in the other room and not being on Twitter to keep me focused and it speeds up the creation of the post. Additionally, setting myself a deadline helps to keep the momentum. At the end I find a image using a free image site, sometimes I will add text it depends. Just keep in mind with your deadline to take time to find or create a decent image and make sure you include an alt tag in the image. 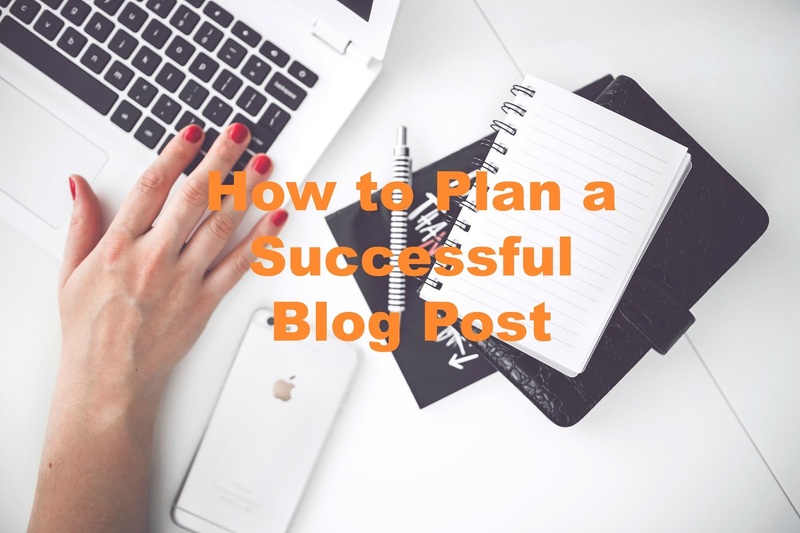 At the end if you have written any previous blog posts that link with the post you are about to publish, add them at the bottom to boost engagement to other posts. The planning just doesn’t stop at the blog post it also extends to social media. There is really no point writing a blog post unless you are really going to push it (I don’t know, maybe you want to keep it to yourself, each to their own I guess!). When I plan social media, I take into account popular hashtags (I use ritetag) and twitter profile pages that will retweet posts. I use Hootsuite to schedule the posts in and I tend to have a social media scheduling session when I am too tired to write a blog post. I pin my blog post on Pinterest straight after it is has gone live so it is done and I don’t have to think about it. Previous Post Travelling in New York – What to Do and Where to Eat!